We are a team of professionals who specialize in residential real estate in the Chester County and surrounding areas. We know that with the sizable investment involved in this type of transaction and profitability. We understand the intricacies and challenges that come with buying or selling a property, and we know how to deal with each one. We are passionate about this business that has give us much success and a deep sense of fulfillment over the years. And we let this passion drive us in helping our clients achieve the best possible outcome in their transactions. We will guide you and be at your side throughout every stage of the home-buying or selling process. If you’re buying a home, we will help you identify the properties that match your needs and preferences and take the right steps to ensure you close the deal. If you’re selling, we know how to effectively market your property to the right buyers, and help you get the best possible outcome from the sale. 19Represents the Average Days on Market for our Listings Sold in in the last 12 months. The average Days on Market for all of Chester County is 47. 99.58%Represents our list to sale price ratio: Our listings sell for 99.05% of list price. Choosing an average agent who is limited in resources & unable to properly showcase your home is detrimental to ANY marketing strategy & will cost you thousands. We apply a complete strategy in our proven marketing plan to the listing and marketing of your house. Our goal is a quick sale for the maximum market amount. This involves proven techniques that leverage the opportunities to showcase your home. Our # 1 goal is to help you set a competitive price that will position your house well against the competition while netting you the most money possible in this market. Pricing your home well can mean the difference between “ON the market” versus “IN the market”. We will guide you in staging options for your home in order to showcase features that buyers are most interested in; uncluttered rooms and closets, fresh paint, and pleasing drive-up appeal are a few examples. While some agents will take low quality photos, we will maximize your homes visual appeal by hiring one of the area’s most well-known, professional photographers who specialize in photographing residential homes – your home will stand out from the crowd. Your house is advertised throughout social media on a regular basis. We are trained in advanced Facebook Ad Targeting strategies where we create custom ad campaigns to target potential buyers based on location and demographics. We specialize in online marketing. 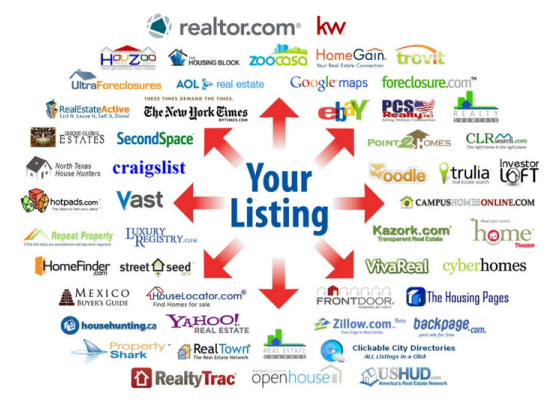 Your listing will be on every major and minor real estate website, including www.DickermanTeam.com. Since 89%+ buyers start online, and ultimately even find their home online, you will want your listing agent to have an in-depth knowledge of where buyers search for homes and what strategies are needed to make sure your home is seen and stands out. 96% of Qualified and Motivated Buyers work with a Buyer’s Agent. We target market your listing to the other top agents and Buyer Specialist in the area. We are active members on the Real Estate Community and just as we value our reputation with our clients and the community, we equally value our reputation with other Realtors. This ensures other Realtors enjoy working with our team and therefore are excited to show and sell our listings. initiate a ‘Just Listed’ email blaste to over 3,500 people in our sphere of influence, to top performing buyer agents in the area, & to our past and present clients – your home will be announced as the market’s “new arrival” to the community. Every person in our team is full time, including a Specialized Listing & Marketing Director to answer your questions at all times, enhance the marketing, and strategize marketing plans depending on your property and timing on market. Optimize your home’s internet presence by posting it on local MLS systems and adding maximum photographs and creative descriptions, which means MAXIMUM exposure to local agents. 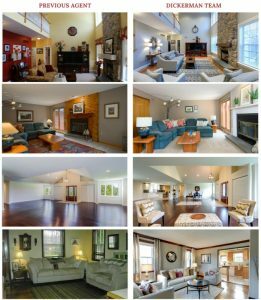 Feature your home on our exclusive website – www.yourchesterhomesearch.com – an exclusive licensed buyer lead website that covers all of Chester County and surrounding areas. It has generated more than 4,000 meaningful buyer leads to our Team since the Fall of 2008. We proactively market your home to these active buyers by using custom campaigns to match your home’s pricing, location, and features with other homes they have showed interested in. Please visit our website! Place FOR SALE signage with enhanced VoIP telephone # – we subscribe to a high end phone system within our sales team that allows the buyers calling on your sign to reach one of our agents 24/7 in order to get information and schedule a showing on your home. 51% of buyers search for homes by driving around searching for “FOR SALE” signage. We make sure that a high quality, legible sign is in your yard with our phone number (except communities where signs are not permitted).